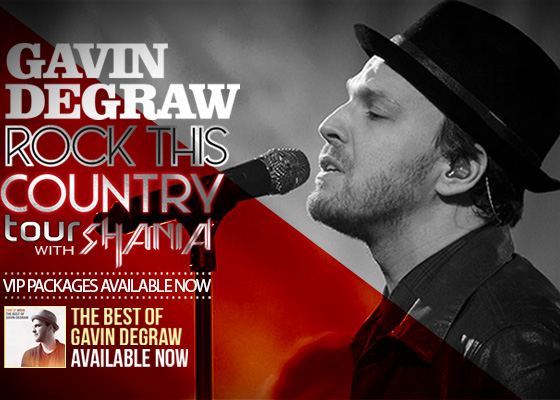 Gavin DeGraw will be joining Shania Twain on the Rock This Country Tour this summer! He will be her support and opening act starting June 30th through August 23rd. VIP packages are available HERE with a list of dates below.